“The terrorists showed what frightens them most: a girl with a book.” Secretary-General Ban Ki-moon on Pakistani schoolgirl Malala Yusufzai, the 14-year-old Pakistani girl injured in an assassination attempt on her way home from school in October 2012. 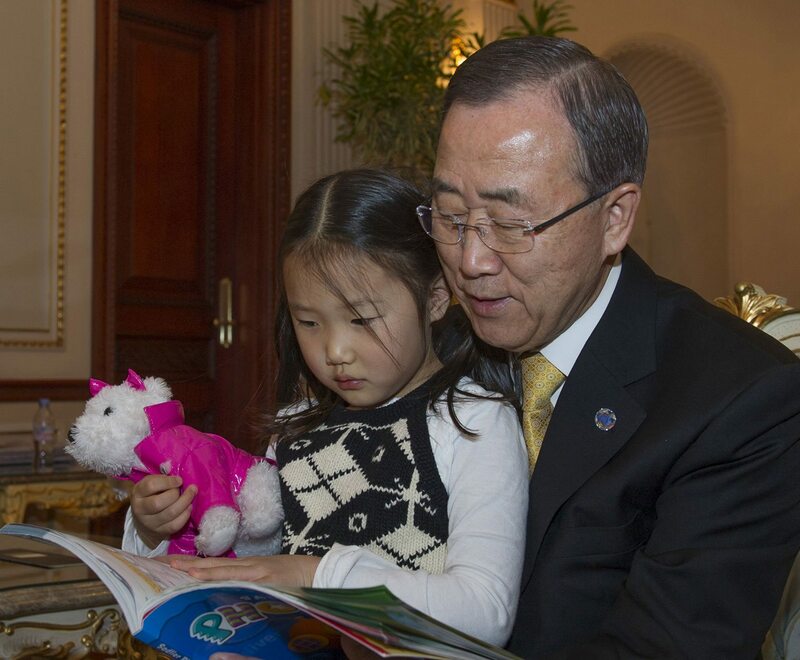 Thank you to everyone who submitted photos of girls and books as part of the “Girl with a Book” online initiative inspired by UN Secretary-General Ban Ki-moon’s remarks at a special event to celebrate the first-ever International Day of the Girl Child. In order to show Malala the support she received from around the world — photos poured in from places like Australia, Japan, Sweden, Hungary, Brazil, Pakistan, Egypt, Cameroon, Malawi, United Kingdom, Canada, Scotland and Italy — the initiative’s organizers compiled the photos into a book to share with her. 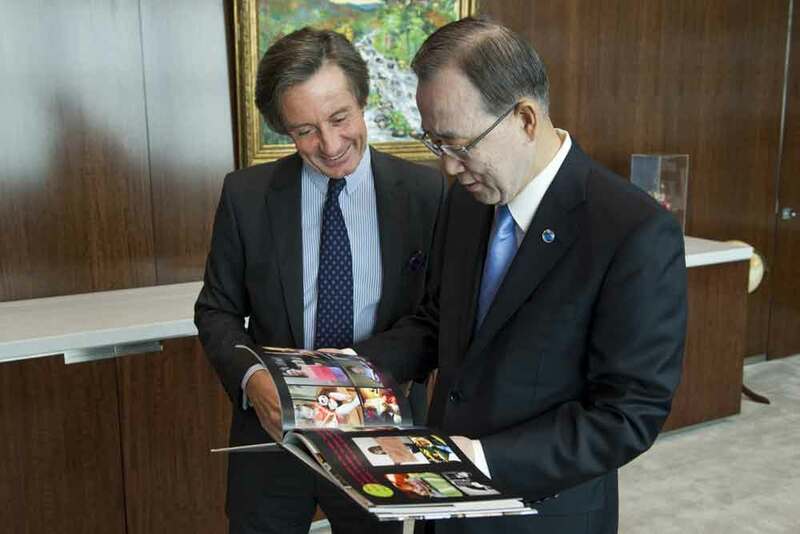 This week, the Secretary-General was delighted to look at all the images in his very own copy of the book.